Well well well … Just when I had given up hope on every aspect of the Obama administration actually doing something that addressed anything that directly impacted the Black community, I get news that Holder, the head of the justice dept (aka the Attorney General), has declared that non-violent drug offenders will be spared the mandatory sentencing rules. I had to read that 3 times to make sue I read it correctly. American has the highest prison population in the WORLD, even though we make up only 5% of the human population…. And the majority of the prisoners? Black men. Mostly non violent … Sentenced to life for selling or possessing drugs to earn money, while their white counterparts receive less or no time for the same crime. 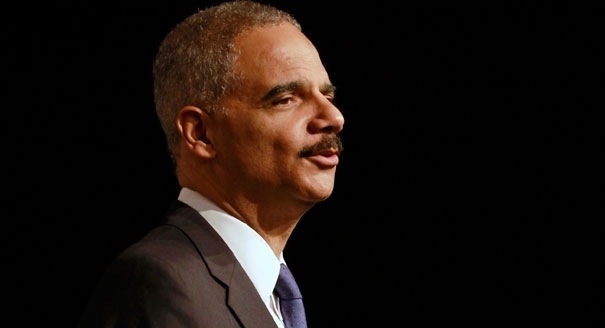 Holder addresses the elephant in the room without naming it. Smart move. While this is the directive for future cases, it is a step in the right direction. I would say do away with incarceration for ALL non-violent drug crime and focus on job creation and treatment programs. This directive, while a start only tells a judge he can’t give a Black man the mandatory… But he can still lock him away for a number of years, doing the same damage to the overall community. Lowering the time served is not enough. Decriminalize drugs, create jobs and focus on REAL crime should have been the change. But…one step at a time huh? Black folk have spent centuries waiting for someone in power to admit we are being targeted and to do something about it.